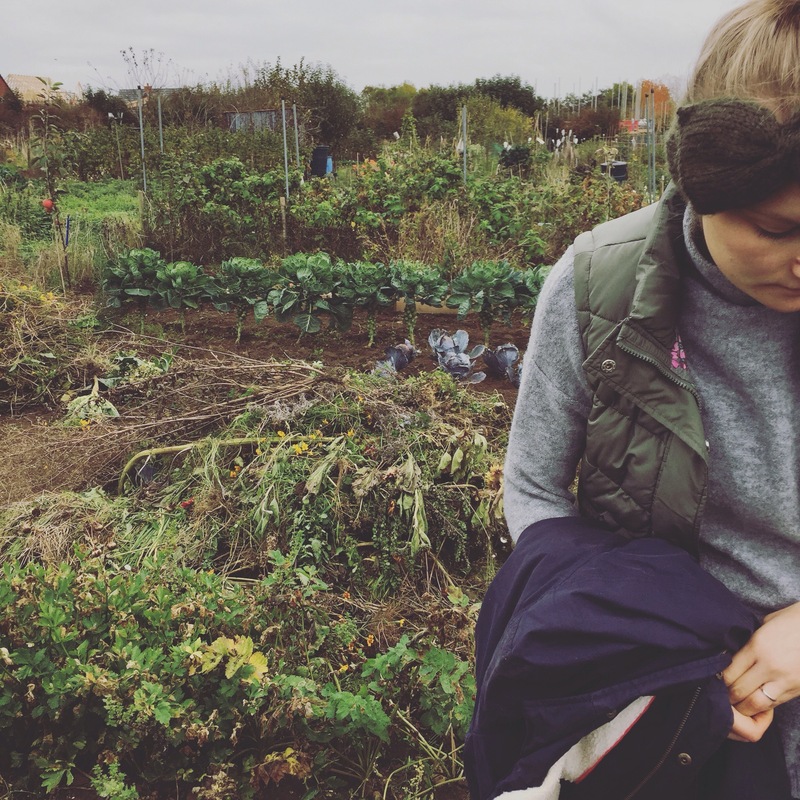 It’s that time of year again when ther weather is a bit hit and miss and the days are getting shorter, so every chance to get to the allotment has to be grabbed with both hands! So that’s exactly what we did this weekend. Autumn is by far the best time of year to get some digging done and clear the weeds, it certainly makes for an easier Spring. The soil benefits from the air being able to work its way in and the addition of frost will also help to break it down, helping to make a better structure for planting next year. 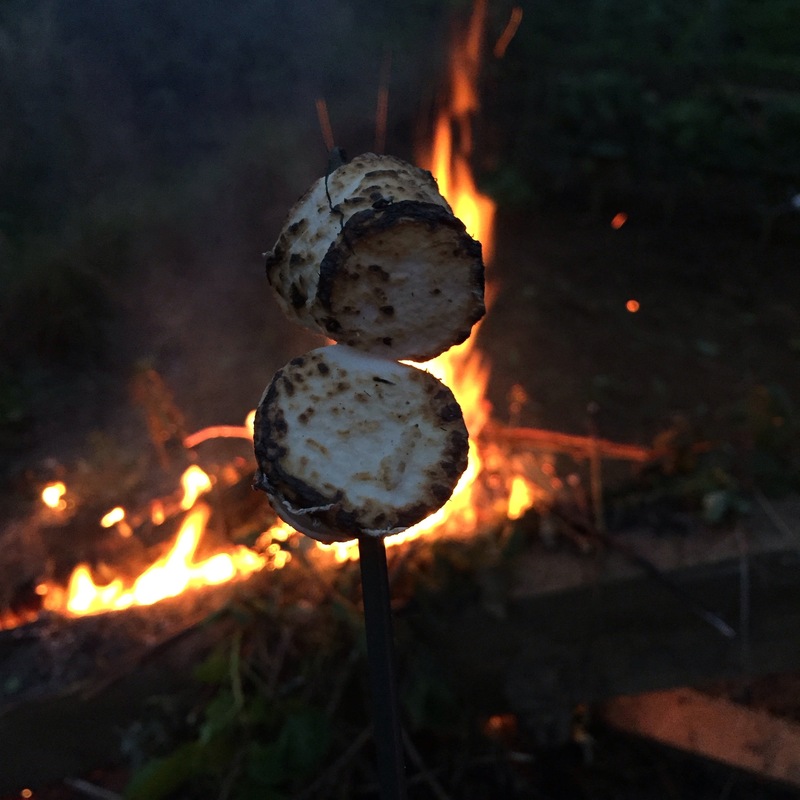 One of the best things about weeding at this time of year is the bonfires we can have to get rid of all the bindweed roots but also to toast some much needed marshmallows and to keep us toasty whilst we work. We’ve been gathering odd bits of wood for a few weeks, just waiting for the perfect day to have our bonfire. With the weather on Saturday being so calm and dry we started early on the plot to make sure we could get as much dug over as possible. 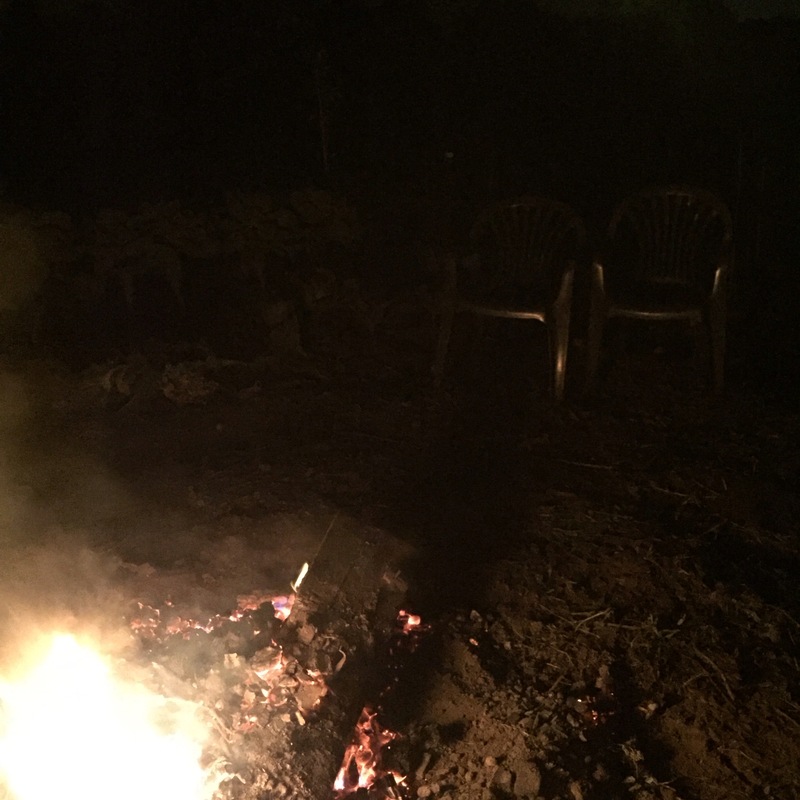 A bonfire is a great way to make sure that weeds are cleared quickly, not only because they literally disappear quickly on the flames, but also you want to make the most of its presence and so digging speeds up a little. 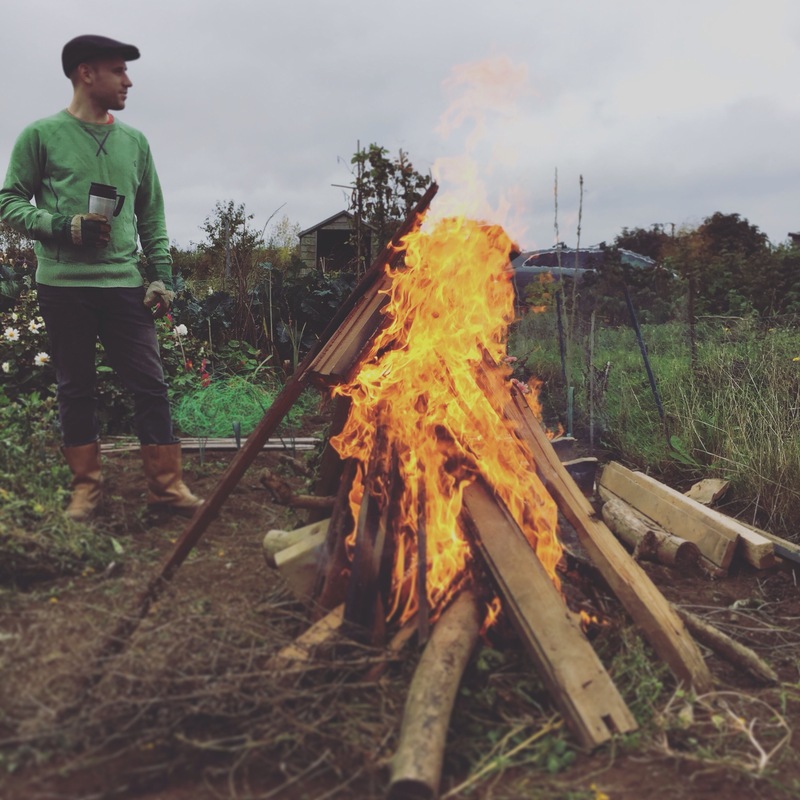 Whilst Oli manned the fire and ensured all our piles of weeds went down steadily throughout the day, I continued to clear raised beds and veg patches ready for winter. At the end of the day we both sat by the fire with our flask of tea and a few marshmallows, a lovely way to end a day well spent.